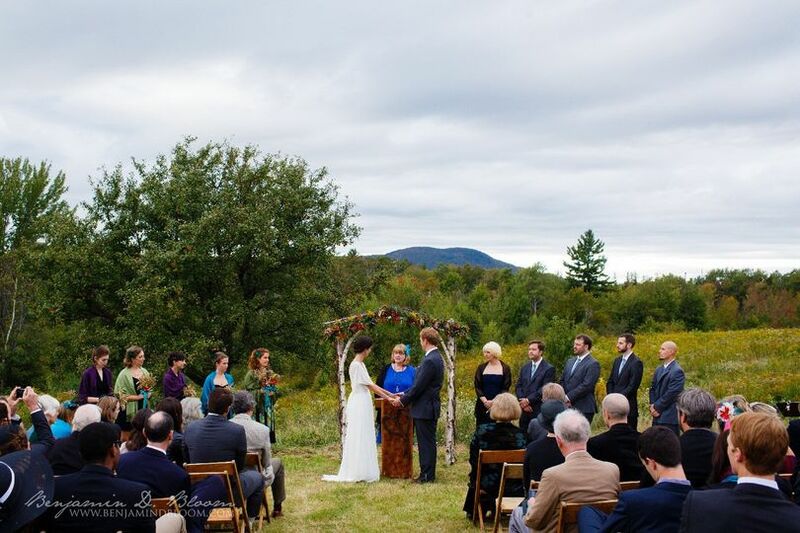 Blueberry Hill Inn is a ustic venue space located in Brandon, Vermont. The Blueberry Hill Inn is an inn for all seasons, whether you’re hoping to celebrate a special event or a spectacular wedding bash. 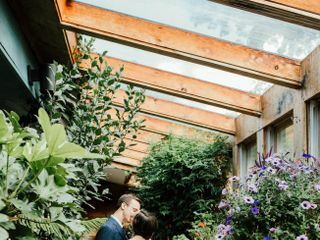 Between the many event spaces to choose from and the attentive on-location staff, the Blueberry Hill Inn could make the perfect setting for your special day. The many outdoor and indoor celebration spaces offer room for up to 175 of your friends and family. 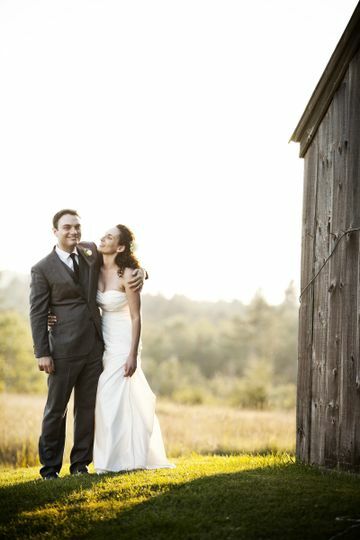 The farm provides space for an outdoor ceremony, while the Inn is the perfect place to celebrate. Blueberry Hill Inn also offers 12 cozy rooms for your guests to choose from. Each of these rooms come with a private bath, warm quilts, original artwork, and rustic country-style furnishings. 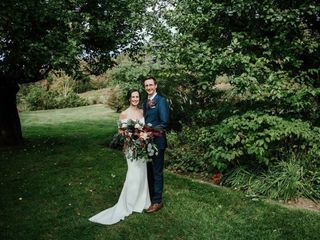 When you rent the Blueberry Hill Inn for your wedding, you don’t have to worry about a curfew or clearing out early for the next wedding — the grounds and the staff are there for all of you and your guests’ needs. Dining at Blueberry Hill Inn is a crowd favorite. Guests can choose to take advantage of breakfast at the Inn, Dinner at the Inn, or the regular Bistro nights. All of the plates under the Blueberry Hill roof are made with the finest ingredients, which makes for a dining experience that your guests certainly won’t forget. Blueberry Hill was seriously the perfect place for our wedding. We couldn't have been happier! It is more enchanting than you can even imagine, and on top of that, the staff are incredible. 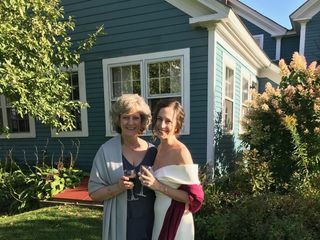 Shari (the wedding planning expert/inn keeper) was extremely responsive and on top of the entire planning process, which made planning from NYC a breeze. She thought of every little detail, and our wedding turned out exactly as we dreamed. And the rest of the staff who helped out for the weekend were incredible and super friendly. My husband and I barely had to lift a finger! We had the grounds to ourselves for the entire weekend, which was a huge hit with all our guests (no curfews!) and they even helped plan and facilitate a bonfire with yummy s'mores for both the Friday and Saturday nights. Also the food was absolutely sensational! We got so many compliments on the delicious appetizers and dinner buffet. I still dream about those mini stuffed mushrooms with spinach and goat cheese! Blueberry Hill will forever hold a special place in our heart, and we even went back and spent our first anniversary there because we loved it so much. And we'll definitely be back again in the future! We highly highly recommend this venue for your wedding or event! 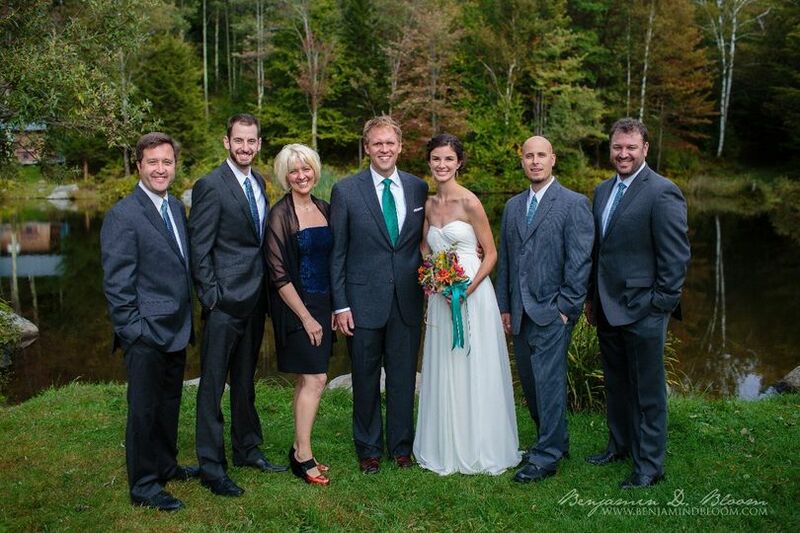 Shari and her team at the Blueberry Hill Inn put on a magnificent, magical special day. 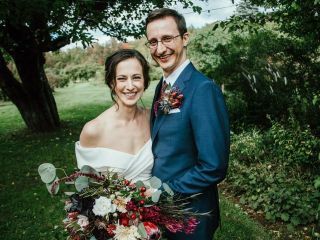 Our wedding was on September 29, 2018, and it really was a dream come true as a romantic weekend getaway in the mountains of Vermont. 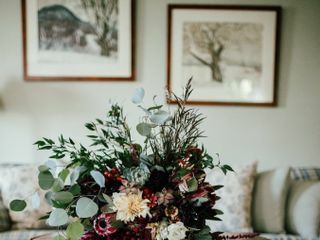 Shari's attention to detail, down to little hearts made out of butter, Chef Tim's incredibly delicious food made with fresh ingredients from local farms, and the overall beautiful scenery and serene landscape really made our wedding just perfect. Many of my friends camped and Shari offered us a backup option in case of bad weather. We made a weekend of it, had the whole place to ourselves, and everyone kept saying it was the best wedding they had ever been to, their own included! 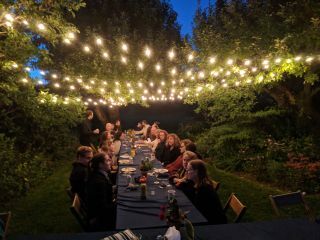 Everyone had a good time, Shari and her team met their every need, we ate well, and we actually got a chance to spend a little time with everyone (our wedding was just under 60 people). Shari was extremely organized and very easy to work with, and on the day of the wedding she walked me part of the way down the field to our ceremony site until it was time to walk on my own -- she has really become part of our family, as have some of the wonderful people who work there for her. 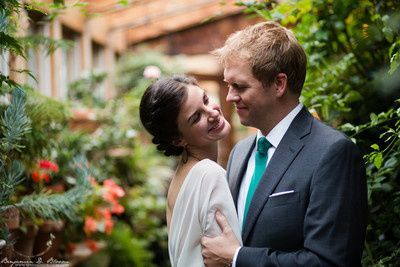 She always included my now-husband on emails -- she was the only person of all our vendors to ALWAYS make sure he was copied and included, so the event was really a reflection of what both of us wanted most. I never thought I could have a *perfect* wedding, but we did. We really wouldn't change a thing. We were in such wonderful hands the whole way through. We will be coming back to Blueberry Hill Inn to celebrate our first year anniversary and for years to come. 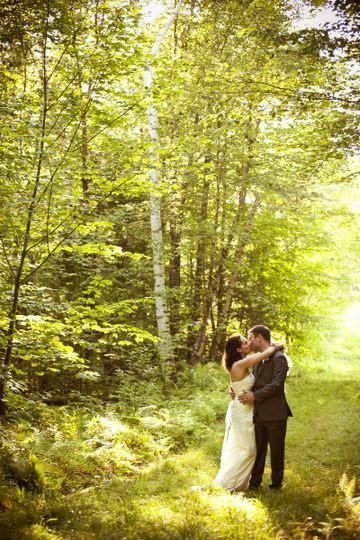 Blueberry Hill Inn was the PERFECT venue for our wedding. We were planning everything from California and Shari (the inn keeper / wedding coordinator) was incredibly helpful, responsive and kind through the process. 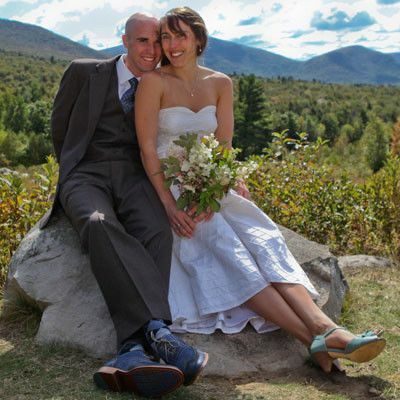 As a venue, Blueberry Hill Inn is beautiful, expansive, peaceful & charming. It's truly magical. It has an authentic Vermont-feel, with surprising & sweet touches. Surrounded by deep, beautiful woods, guests are able to escape the stresses of life and be one with nature. This also means there's no curfew, which was a huge plus for us!! There's tons of hiking/cross-country skiing trails around the grounds, a sweet pond (complete with an awesome wood-fired sauna that guests can enjoy! 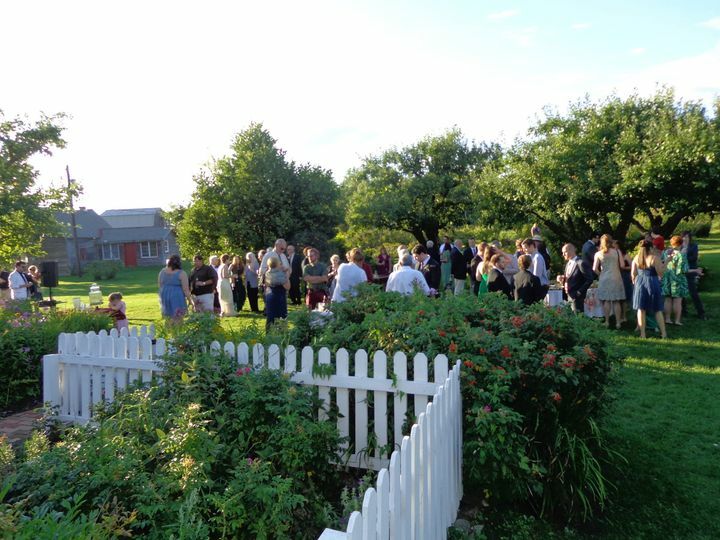 ), a charming apple orchard flanked by blueberry bushes, and a big open field that's perfect for campers, lawn games and a big reception tent. There's also a good number of sweet, unique rooms at the inn for guests, and even a big beautiful rental house that was perfect for my bridal party and for the "bridal getting-ready suite". My husband and I ended up using the Mooslamoo Cottage as our "honeymoon suite" the night of the wedding as well. Lots of great options! We ended up taking over the entire property for the weekend. 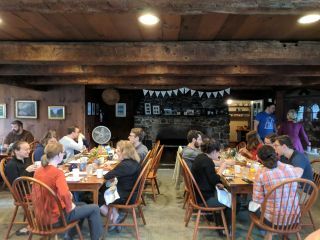 We had our rehearsal dinner in the dining room one night (delicious food catered by Blueberry Hill), a "community dinner" another night (catered by outside vendor) and the wedding a different night (also catered by outside vendor). Being able to stay in one location and really settle into the property was extremely special to us and our guests. In terms of service, Shari, Tony (the other inn keeper) and all of the staff were amazing to work with. (Not to mention the 2 adorable dogs, Remy & Wheezer, who were a huge hit as well!) Everyone was extremely kind and accommodating -- we truly felt right at home and wish we could just do it all again & again. 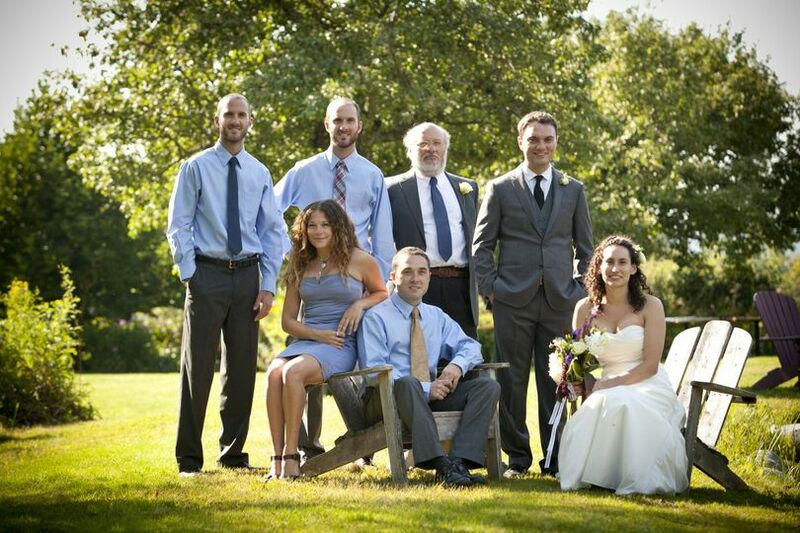 We highly recommend Blueberry Hill Inn for your wedding or event! We love it dearly.